Runners are being given an out of this world opportunity to race under the darkest night skies in England. 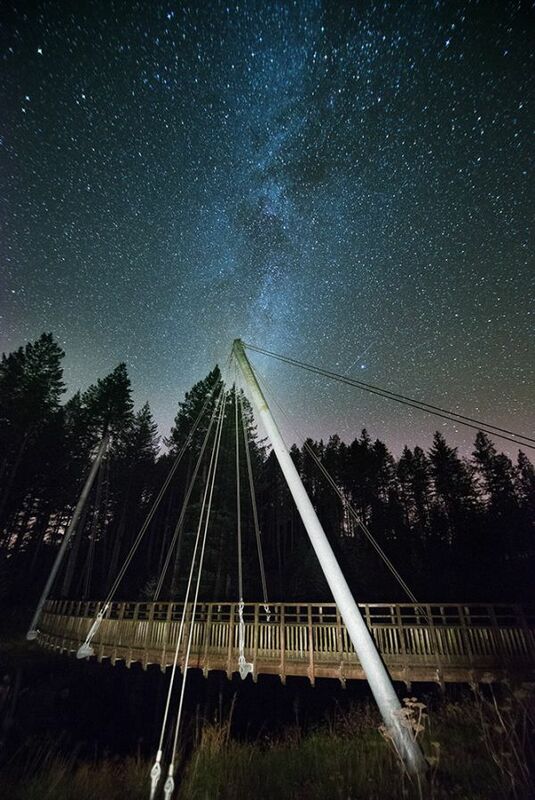 The inaugural ‘Dark Skies Run’ at Kielder Water & Forest Park, Northumberland, will take place on Saturday April 18, 2015. Organised by Trail Outlaws and supported by Northumbrian Water and the Forestry Commission, the 26.5 mile challenge will start at Hawkhirst Scout Activity Centre and follow the Lakeside Way trail around northern Europe’s largest man-made lake. Entries into the unique race, which will take place during International Dark Skies week, will open at midday on Sunday February 8. With space for just 300 people to take part, event organisers are urging people to book their place quickly. Ultra Marathon runner and organiser, Phill Turton said: “We’ve ran in events all over the north of England, but a late training run around Kielder Reservoir was something we’d never experienced before. Customer Experience Manager at Northumbrian Water’s Leaplish Waterside Park, Peter Pattinson, said: “We’re really excited about this long distance race. It’s a special opportunity for runners to take advantage of our starry skies as this is a run that’s not normally allowed. Safety is our top priority – the event is organised by professionals and head torches are mandatory. Entries are open from midday on Sunday February 8 at www.trailoutlaws.com. The price is £40 and entries are restricted to over 18s only. Kielder Water & Forest Park is a growing destination for sporting events. Only this week, Steve Cram unveiled a new Half Marathon race at the Kielder Marathon weekend held on 3-4 October 2015. The weekend includes the Kielder 10K, Run Bike Run and Junior Races. Entries are available at www.kieldermarathon.com. Trail Outlaws was set up in 2014 by North East based Ultra Marathon Trail Runners Phill Turton and Tim Bateson. Their aim is to promote trail running along the trails they love to run in the North East. As well as the Dark Skies Run, 2015 sees the first running of the 200km “Sandstone Way Ultra Marathon” which allows people to run the full length of Northumberland in one go and the “St Cuthberts Ultra Marathon” which starts on Holy Island and follows the 100km St Cuthberts Waymarked trail into Melrose in Scotland. They are also currently developing an urban trail series with the aim of highlighting some of the hidden gems that exist on the outskirts of many of the regions towns and Cities. The first of these events was a half marathon and 10km trail event at Penshaw Monument in Sunderland which was hugely successful and is now into its second year, with an additional marathon event. To learn more visit www.trailoutlaws.com or call 07897 700059.